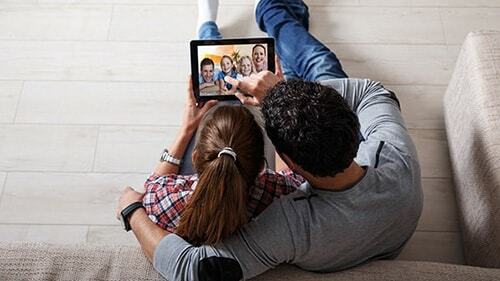 Keep your family connected with speeds now up to 1000 Mbps with Cox internet. 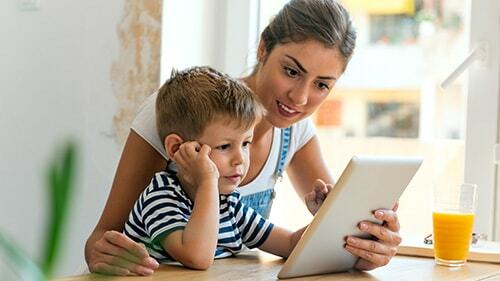 Keep your family connected with the best internet available in your area through Cox Communications! With speeds up to 1 Gbps, these speeds are perfect for streaming video, multi-player online gaming, smart home devices and uploading photos. Plus, enjoy useful perks like access to 500,000+ free Wi-Fi hotspots nationwide, access to 24/7 technical support, free Cox Security Suite protection, and 10 email accounts with 2 GB storage each. Free Access To 500,000+ Wi-Fi Hotspots Nationwide. Now is the time to switch to Cox internet! 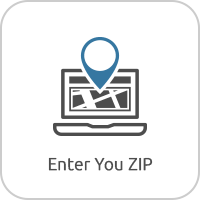 Cox Communications internet subscribers enjoy free access to 500,000+ Wi-Fi hotspots nationwide, 10 email accounts with at least 2GB, and Cox Security Suite Plus! All of Cox Communications internet plans are fast, contract and data cap free. Call 1-844-811-1924 today to switch to Cox Communications internet! No Contract & No Data Cap Internet! Free Access To 500,000+ Wi-Fi Hotspots Nationwide! When is the last time you’ve upgraded your router? Even if your router is a part of a modem router combination from Cox Communications – you don’t have to use the router portion of your modem router combo if you don’t want to. In fact, getting a standalone router often delivers faster speeds and has more advanced features to help you make the most of your Wi-Fi. View our top router picks for 2019 that are compatible with Cox Communications internet here. Tired of paying a lease fee every month for an outdated Cox modem? See our top modem picks for 2019 that are compatible with Cox internet here. All your questions about Cox internet service are answered! 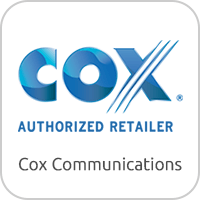 See all our frequently asked questions regarding Cox internet plans, pricing, speeds and availability here. Is Cox Communications internet right for you? Get all the details on Cox internet service, including speeds, coverage, availability and technology. Read our full, in-depth review of everything you need to know about Cox Communications internet plans here. Cox internet plans start at only $29.99 per month with speeds up to 10 Mbps! There are six internet plans to choose from, each with fast speeds for the whole family. Whether speed or price is most important to you, Cox Communications has an internet plan for you. Call 1-844-811-1924 to switch to Cox Communications internet today! Internet Only Service Is Available! No Home Phone Required For Cox Internet. With Cox Communications, internet only plans are available! Since Cox internet is a cable internet service, you do not need home phone or TV service to subscribe to Cox internet. You can still enjoy Cox Communications internet with no obligation to any other service your family doesn’t want or need. Plus Cox internet is obligation free with no contracts! Call 1-844-811-1924 to switch to Cox Communications internet today! No Home Phone Service Required For Cox Internet. Experience the fastest internet that Cox Communications has to offer with Cox Gigablast internet! With Gigablast internet speeds are up to 1 Gbps, that’s 1,000 Mbps! This means more streaming, more gaming and more surfing the internet for the whole family. There’s enough bandwidth for everyone in the family to enjoy doing what they love all at the same time without compromising your home Wi-Fi speeds for everyone else. 1 Gbps speed is fast enough to download 1 video game in 3 minutes, 1,000 phones in 16 seconds, and a HD movie in 2 minutes. Internet Speeds Up To 1 Gbps With Cox Gigablast! Faster Speeds & More Bandwidth To Go Around. Finally achieve whole house Wi-Fi coverage for all your devices with Cox Panoramic Wi-Fi! Even when everyone at home is online at the same time, it won’t compromise the speed of your network. Panoramic Wi-Fi is designed to bring the max speeds and bandwidth of your Cox internet service to every part of your home without dead Wi-Fi zones. On your cox installation date, your tech will walk through the house to identify current dead zones and remediate them with wall to wall Wi-Fi coverage. Cox Panoramic Wi-Fi is perfect for households that have had trouble with whole home Wi-Fi coverage in the past and families that do not wish to set up their own Wi-Fi networks. Cox Panoramic Wi-Fi is available on all Cox Communications high speed internet plans when you add the Panoramic Wi-Fi Modem to your plan. Wall To Wall Wi-Fi Coverage! Get Max Speeds & Bandwidth From Your Wi-Fi Network! Manage your Wi-Fi network easily with the Cox Connect app! You can change your Wi-Fi password, view signal strength of connected devices, reboot your modem, view your data usage, see if there’s any current outages, and find Wi-Fi hotspots near you. The Cox Connect app is available on iOS and Android. Easy Manage Your Wi-Fi Network Through An App. Stay connected even when you’re away from home with free unlimited access to 500,000+ Wi-Fi hotspots from Cox Communications. 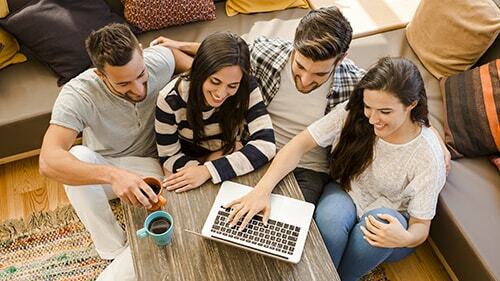 It’s easy to connect with thousands of hotspots throughout the country even where Cox home internet service isn’t available. Use Cox’s WiFi Hotspot map to locate your nearest WiFi hotspot and save your mobile data for another time! All you need to do is find a hotspot and connect with your My Account login. After you connect for the first time, your mobile device will always remember it and automatically connect to Cox WiFi hotspots in the future. Cox WiFi Hotspots are located in both indoor and outdoor spaces. Unlimited access is free to Cox High Speed Internet Preferred, Internet Ultimate and Internet Gigablast customers. Even Where Cox Home Internet Isn’t Available! When you subscribe to Cox Communications internet service, you also get Cox Security Suite Plus for free! It’s backed by trusted McAfee and available for download on Windows, Mac, Android and Apple mobile devices. From virus protection to remote locate and wipe device functions, Cox Security Suite Plus has your family protected. It is equipped with device appropriate protection to protect your family from the most frequent device specific problems. Free Cox Security Suite With Your Cox Internet! Device Appropriate Protection For The Whole Family. cox	Overall rating:	4.6	out of 5 based on 20	reviews. Terms and Conditions Cox Internet Essential 30 1 Year Term Service Agreement Your service agreement will be for 12 months. You may cancel within 30 days of start of agreement to avoid an early termination fee (ETF) by calling Cox Customer Care at the number located on your bill. After that, you will be charged up to $120 if you cancel the agreement or Internet is disconnected. You can change other services, features and equipment without affecting your agreement. The full text of the service agreement is on cox.com under Policies. Please read it carefully. Contact Cox Customer Care by phone if you have any questions or to make any changes to your account. Internet discount *Note: Most promotional prices cannot be combined with promotional prices for other services. The regular rate for this service may apply if another promotional service is added to your cart. Offer expires 07/01/2019 and is available to new residential Cox Internet customers in Cox service areas. Offer is only available for new subscriptions to Internet Starter 10 service. After promotion period, regular rates apply. Prices exclude installation/activation fees, equipment fees, inside wiring fees, additional outlets, taxes, surcharges and other fees. A credit check and/or deposit may be required. Offer may not be combined with other offers. Online orders only. Other restrictions may apply. Internet Essential 30 Advertised rate includes monthly recurring service fees but excludes equipment charges. Additional jacks, inside wiring, reconnection, activation, taxes, franchise fees, and surcharges are additional. Modem required for Internet service. For best performance, use of Cox approved cable modem is recommended. A DOCSIS 3.0 modem is required to consistently receive optimal speeds for Preferred and higher tiers, and is strongly recommended for all other tiers. Uninterrupted or error-free Internet service, or the speed of your service, is not guaranteed. Actual speeds vary. See www.cox.com/internetdisclosures for complete Cox Internet Disclosures. 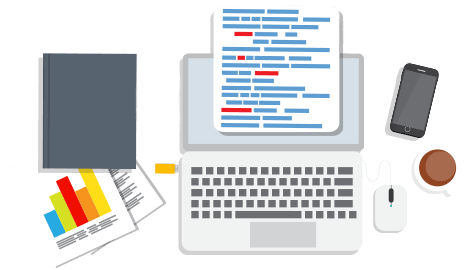 Cox cannot guarantee the intended results from the McAfee® services or that the McAfee software will be error-free, free from interruptions or other failures. The McAfee services and features are subject to change. McAfee is a registered trademark of McAfee, Inc. Service may require credit approval. Deposit may be required. Other restrictions may apply. All Cox Internet plans include 1 TB (1024 GB) per month of data usage. Unlimited and 500 GB Additional Data Plans can be added for an additional monthly charge. Data usage in excess of plan may result in a $10 charge for up to 50 GB of additional data and for each additional 50 GB block, except for Unlimited Data Plan subscribers. Unused data does not roll over. See also Speeds and Data Plans Information for High Speed Internet Service in your area for details. See www.cox.com/datausage for complete data usage details. Prices, and/or when applicable, contracts, may differ from those presented here as a result of existing customer pricing, customer’s specific service address, and/or contract related updates. Installation fees may apply. Other restrictions may apply. Charges Included: Includes monthly charges and applicable discounts, one-time charges, and activation fees. Prices do not include applicable taxes, fees, and surcharges. Excludes charges for subscribed services. Prorated charges may appear on your bill if you change services before the billing cycle is complete. Prorated charges are not presented here. Prices, and/or when applicable contracts, may differ from those presented here as a result of existing customer pricing and/or contract related updates. Cox Internet Preferred 100 1 Year Term Service Agreement Your service agreement will be for 12 months. You may cancel within 30 days of start of agreement to avoid an early termination fee (ETF) by calling Cox Customer Care at the number located on your bill. After that, you will be charged up to $120 if you cancel the agreement or Internet is disconnected. You can change other services, features and equipment without affecting your agreement. The full text of the service agreement is on cox.com under Policies. Please read it carefully. Contact Cox Customer Care by phone if you have any questions or to make any changes to your account. Internet discount *Note: Most promotional prices cannot be combined with promotional prices for other services. The regular rate for this service may apply if another promotional service is added to your cart. Offer expires 07/01/2019 and is available to new residential Cox Internet customers in Cox service areas. Offer is only available for new subscriptions to Internet Starter 10 service. After promotion period, regular rates apply. Prices exclude installation/activation fees, equipment fees, inside wiring fees, additional outlets, taxes, surcharges and other fees. A credit check and/or deposit may be required. Offer may not be combined with other offers. Online orders only. Other restrictions may apply. Internet Preferred 100 Advertised rate includes monthly recurring service fees but excludes equipment charges. Additional jacks, inside wiring, reconnection, activation, taxes, franchise fees, and surcharges are additional. Modem required for service. For best performance, use of Cox approved cable modem is recommended. A DOCSIS 3.0 modem is required to consistently receive optimal speeds for Preferred and higher tiers, and is strongly recommended for all other tiers. Uninterrupted or error-free Internet service, or the speed of your service, is not guaranteed. Actual speeds vary. See www.cox.com/internetdisclosures for complete Cox Internet Disclosures. Cox cannot guarantee the intended results from the McAfee® services or that the McAfee® software will be error-free, free from interruptions or other failures. The McAfee® services and features are subject to change. McAfee® is a registered trademark of McAfee®, Inc. A credit check and/or deposit may be required. Other restrictions may apply. All rates and offers are subject to change. All Cox Internet plans include 1 TB (1024 GB) per month of data usage. Unlimited and 500 GB Additional Data Plans can be added for an additional monthly charge. Data usage in excess of plan may result in a $10 charge for up to 50 GB of additional data and for each additional 50 GB block, except for Unlimited Data Plan subscribers. Unused data does not roll over. See also Speeds and Data Plans Information for High Speed Internet Service in your area for details. See www.cox.com/datausage for complete data usage details. Prices, and/or when applicable, contracts, may differ from those presented here as a result of existing customer pricing, customer’s specific service address, and/or contract related updates. Installation fees may apply. Other restrictions may apply. Charges Included: Includes monthly charges and applicable discounts, one-time charges, and activation fees. Prices do not include applicable taxes, fees, and surcharges. Excludes charges for subscribed services. Prorated charges may appear on your bill if you change services before the billing cycle is complete. Prorated charges are not presented here. 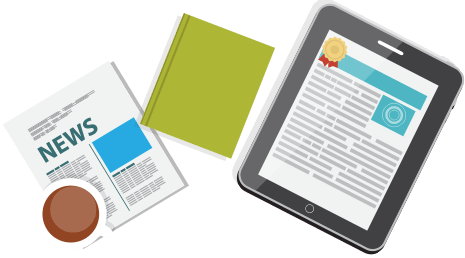 Prices, and/or when applicable contracts, may differ from those presented here as a result of existing customer pricing and/or contract related updates. Cox Internet Ultimate 1 Year Term Service Agreement Your service agreement will be for 12 months. You may cancel within 30 days of start of agreement to avoid an early termination fee (ETF) by calling Cox Customer Care at the number located on your bill. After that, you will be charged up to $120 if you cancel the agreement or Internet is disconnected. You can change other services, features and equipment without affecting your agreement. The full text of the service agreement is on cox.com under Policies. Please read it carefully. Contact Cox Customer Care by phone if you have any questions or to make any changes to your account. Internet discount *Note: Most promotional prices cannot be combined with promotional prices for other services. The regular rate for this service may apply if another promotional service is added to your cart. Offer expires 07/01/2019 and is available to new residential Cox Internet customers in Cox service areas. Offer is only available for new subscriptions to Internet Starter 10 service. After promotion period, regular rates apply. Prices exclude installation/activation fees, equipment fees, inside wiring fees, additional outlets, taxes, surcharges and other fees. A credit check and/or deposit may be required. Offer may not be combined with other offers. Online orders only. Other restrictions may apply. Internet Ultimate Advertised rate includes monthly recurring service fees but excludes equipment charges. Additional jacks, inside wiring, reconnection, activation, taxes, franchise fees, and surcharges are additional. Modem required for service. For best performance, use of Cox approved cable modem is recommended. A DOCSIS 3.0 modem is required to consistently receive optimal speeds for Preferred and higher tiers, and is strongly recommended for all other tiers. Uninterrupted or error-free Internet service, or the speed of your service, is not guaranteed. Actual speeds vary. See www.cox.com/internetdisclosures for complete Cox Internet Disclosures. Cox cannot guarantee the intended results from the McAfee® services or that the McAfee® software will be error-free, free from interruptions or other failures. The McAfee® services and features are subject to change. McAfee® is a registered trademark of McAfee®, Inc. A credit check and/or deposit may be required. Other restrictions may apply. All rates and offers are subject to change. All Cox Internet plans include 1 TB (1024 GB) per month of data usage. Unlimited and 500 GB Additional Data Plans can be added for an additional monthly charge. Data usage in excess of plan may result in a $10 charge for up to 50 GB of additional data and for each additional 50 GB block, except for Unlimited Data Plan subscribers. Unused data does not roll over. See also Speeds and Data Plans Information for High Speed Internet Service in your area for details. See www.cox.com/datausage for complete data usage details. 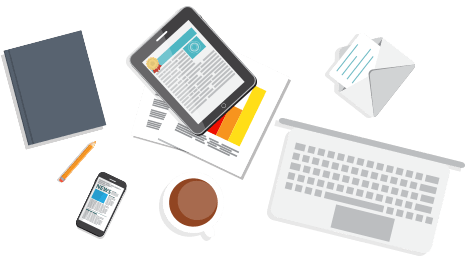 Prices, and/or when applicable, contracts, may differ from those presented here as a result of existing customer pricing, customer’s specific service address, and/or contract related updates. Installation fees may apply. Other restrictions may apply. Charges Included: Includes monthly charges and applicable discounts, one-time charges, and activation fees. Prices do not include applicable taxes, fees, and surcharges. Excludes charges for subscribed services. Prorated charges may appear on your bill if you change services before the billing cycle is complete. Prorated charges are not presented here. 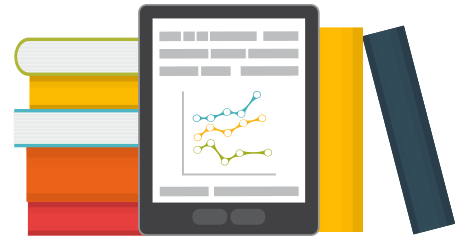 Prices, and/or when applicable contracts, may differ from those presented here as a result of existing customer pricing and/or contract related updates. Gigablast: Gigablast Internet Maximum 1Gbps download with Gigablast service. Uninterrupted or error-free internet service or the speed of your service is not guaranteed. Actual speeds vary. See www.cox.com/internetdisclosures for complete Cox Internet Disclosures. 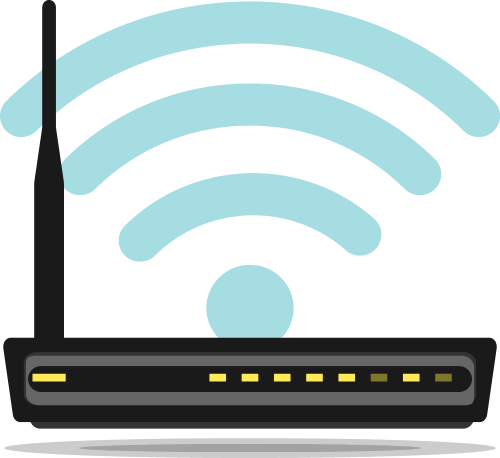 Accessing your service via WiFi may result in reduced Internet speeds due to the type of equipment used, environmental and structural conditions in your home, the number of users, and other contributing factors. Available in select Cox service areas. 85x faster than average DSL speeds based on maximum download speed of Cox Gigablast service (1 Gbps) vs. average DSL speed of major U.S. DSL providers (Fixed Broadband Report. Actual speeds may vary. Other restrictions may apply. See cox.com for more information. All Cox Internet plans include 1 TB (1024 GB) per month of data usage. Unlimited and 500 GB Additional Data Plans can be added for an additional monthly charge. Data usage in excess of plan may result in a $10 charge for up to 50 GB of additional data and for each additional 50 GB block, except for Unlimited Data Plan subscribers. Unused data does not roll over. See also Speeds and Data Plans Information for High Speed Internet Service in your area for details. See www.cox.com/datausage for complete data usage details. Prices, and/or when applicable, contracts, may differ from those presented here as a result of existing customer pricing, customer’s specific service address, and/or contract related updates. Installation fees may apply. Other restrictions may apply. Charges Included: Includes monthly charges and applicable discounts, one-time charges, and activation fees. Prices do not include applicable taxes, fees, and surcharges. Excludes charges for subscribed services. Prorated charges may appear on your bill if you change services before the billing cycle is complete. Prorated charges are not presented here. Prices, and/or when applicable contracts, may differ from those presented here as a result of existing customer pricing and/or contract related updates. Voice Premier Cox Voice Premier Available to new residential customers in Cox serviceable areas who newly subscribe to Cox Voice Premier Service and who have not disconnected from Cox Digital Telephone or Voice in the last 30 days. Cox Voice Premier consists of a Primary Phone line with 14 calling features, voice mail, and Unlimited Domestic Long Distance plan. Unlimited plan long distance minutes are limited to direct-dialed residential, non-commercial voice calls within the United States, to Canada, and to landline phones in Mexico, and require subscription to Cox for local, toll and state-to-state long distance service. Calls to Mexico that terminate on a cell phone or other wireless device will incur a $0.10 per minute charge. Usage that is not consistent with such use may subject your account to review and/or suspension or termination of your service. 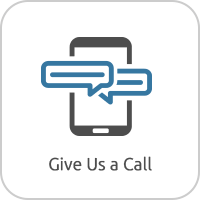 Advertised rate includes monthly recurring service fees but excludes equipment charges, directory assistance, operator-assisted calls, per use or à la carte features, and charges for long distance and international calling not included in the calling plan. Additional jacks, inside wiring, reconnection, activation, taxes, franchise fees, and surcharges are additional. Regular rates apply after promotional period, if any. Cox phone service provides high quality voice connection to residential customers in Cox’s service area. Telephone modem required and will be provided for the duration of phone service subscription. Upon disconnection of phone service, modem must be returned within 30 days or a monthly rental fee or lost equipment charge will apply. Modem uses household electrical power to operate. Telephone service, including access to e911 service, will not be available during a power outage without a battery or if the modem is moved or inoperable. New modem installs do not come with a battery. You may purchase a battery from Cox or, if you are a Lifeline customer, obtain a battery from Cox without charge. You must monitor and replace the battery as needed (see cox.com/battery). Other restrictions may apply. Telephone service provided by an affiliated Cox entity. Service may require credit approval. Deposit may be required. Charges Included: Includes monthly charges and applicable discounts, one-time charges, and activation fees. Prices do not include applicable taxes, fees, and surcharges. Excludes charges for subscribed services. Prorated charges may appear on your bill if you change services before the billing cycle is complete. Prorated charges are not presented here. Prices, and/or when applicable contracts, may differ from those presented here as a result of existing customer pricing and/or contract related updates.